I'm hoping to see you there but I don't know if I'm going to make it. Still trying. We are at sites 5-6-7-8 back in the back. Hope to see ya. I’ll be down but will leave the green fish to you. Will be fishing open water on the lower end/Gravi for walleye/crappie/hybrids - good luck guys! Would love to see a forum member collect that check. I’ll be down but will leave the green fish to you. 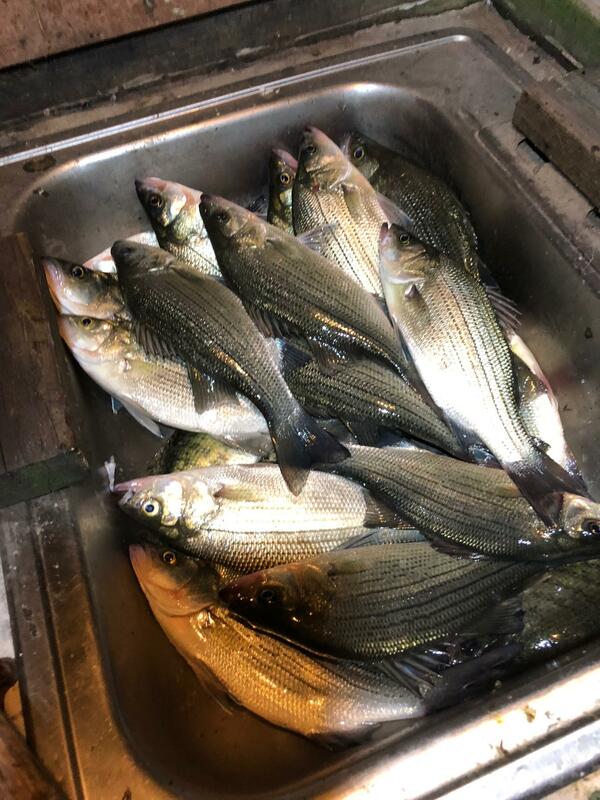 Will be fishing open﻿ water on the lower end/Gravi for ﻿walleye/crappie/hybrids - good luck guys!﻿ Would love to see a forum member collect that check. Good luck! I am done getting beat to death in that area during the Bash. Last year there were monster cruisers everywhere and I was truly scared trying to get from the Gravois to Alhonna to weigh in a fish. I'll be hanging out somewhere on the Nianguas. I’m assuming I’m part of your buddy group at red oak lol? TackleHD booth will be set up at pb2 on Friday by noon. Gonna be a blast ! Come by if you’re in the area and hang out. I am in and i will come by and see my old river buddies for sure. My condo is 5 minutes from PB2 by land or by water so i will stop by for sure. i did get out for a while last evening at dark. I did not go after green bass as i thought the wind might fire up the white bass. I wouldn't mind eating a mess of those! Kind of my philosophy for the weekend; I’m going to be bringing home some eats and relaxing. If you see me anywhere near a dock(other than mine) this weekend I am lost - please stop and offer help 😉.